Stoney Parsons teaches courses in her delightful studio on a country park estate just outside Tunbridge Wells, Kent. Tunbridge Wells is only an hour away from London on the train. Stoney is a professional stained glass artist and has vast experience and enthusiasm for the subject. She believes that everyone is creative and enjoys helping students reach their full potential. Her courses are designed to be creative, practical and fun. 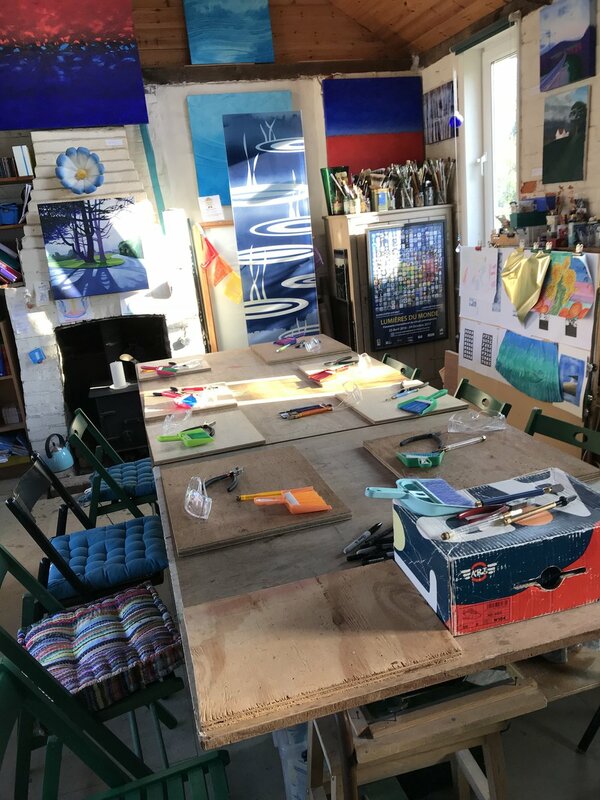 Students will get a really good grounding in how to make stained glass panels and learn the basic techniques virtually unchanged since medieval times, combined with the latest in modern glass techniques. They will get lots of tips and pointers on how to avoid common pitfalls. Students create their own designs and are encouraged and helped all the way. PATTERN BOOKS ARE BANNED! They will leave The Glass Studio with a real sense of achievement having learnt a new skill which will open up exciting new creative horizons. Students design and make their own panels learning all the techniques and processes so that they take home a stained glass panel to be proud of! Suitable for beginners or improvers. Skills learnt : cutting glass, leading, soldering and cementing. Students choose from a selection of designs and make a small panel to take home, having learnt all the processes on the way. For those who have already done a Beginner’s course, Taster day or equivalent, or who are more advanced. Students work on their own project. 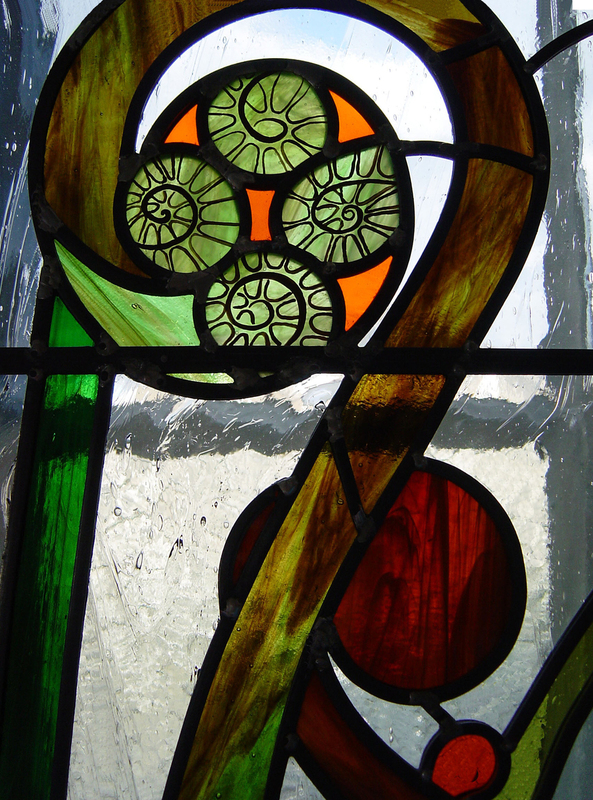 How to design stained glass including the balance between light, colour and structure and how to achieve the best lead line. Learn the rudiments of painting on glass. The glass will be fired overnight ready for the next day. There will be experimentation to understand the magical qualities of painting on glass. All courses are for adults only. All courses have helpful relevant hand-outs. One to one time with me in the studio can be arranged if you have a particular project. Materials and lunches included. * Stained glass project course – basic materials included. Early booking is advised. First come first served! £50 non–returnable deposit per person required. Please fill out the booking form below and send deposit cheque with contact details to book. Please make cheques payable to Stoney Parsons. Please check course is running one week before especially if booking accommodation. If you have any medical issues that you think may be relevant please make contact before the course. Skyros at The Grange, Shanklin, Isle of Wight. All images of work are made by students apart from the two panels above in Skyros, Greece. I understand that Stoney Parsons will not liable for accidents incurred by me whilst attending a course.